You are here: Home / Crochet Other / Affiliate Posts / The 12 Days Of…. 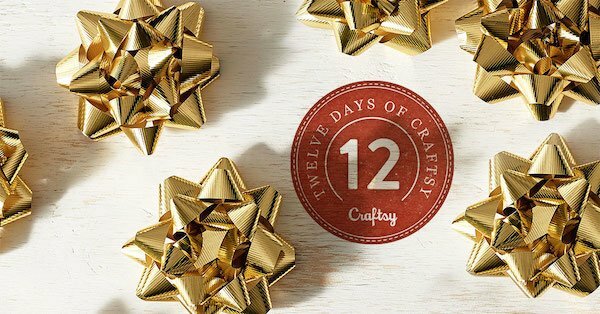 Celebrate the Upcoming Holidays with the 12 Days of Craftsy! Check back everyday until December 12th for a new special offer! A lot of our favorite classes are on sale too! Making this sitewide offer an even better deal! Simply enter code: BOGOCRAFTSY to buy 1 class and get 1 class of equal, or lesser value FREE! This deal is available today only so don’t wait! Crafts Classes are a fantastic and if you have never tried one, why not take advantage of one of their free mini-classes! With 40 to choose from you are sure to find one you want to watch and who knows maybe you will learn something new today with Craftsy too!